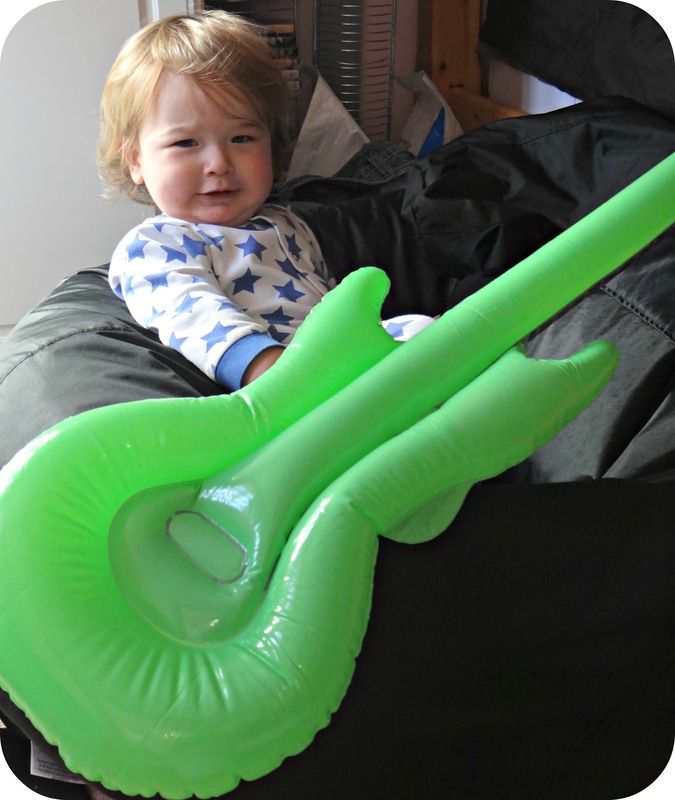 Big musical ambitions for when he grows up! better than an air guitar! He looks ready to rock out! Never too small to rock! aww what a cute RockStar! He said, 'be you angels?' We said, 'Nay, we are but men.' ROCK!